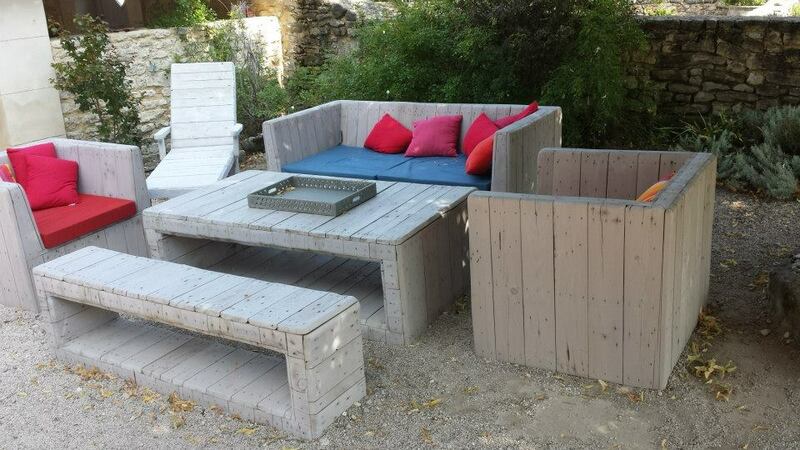 As people becoming aware about the different upcycled and recycled uses of wood pallets, a many kind of furniture and crafts made around the world, and with the passage of time new and creative creations being seen where people done great job to create furniture and home decor items. 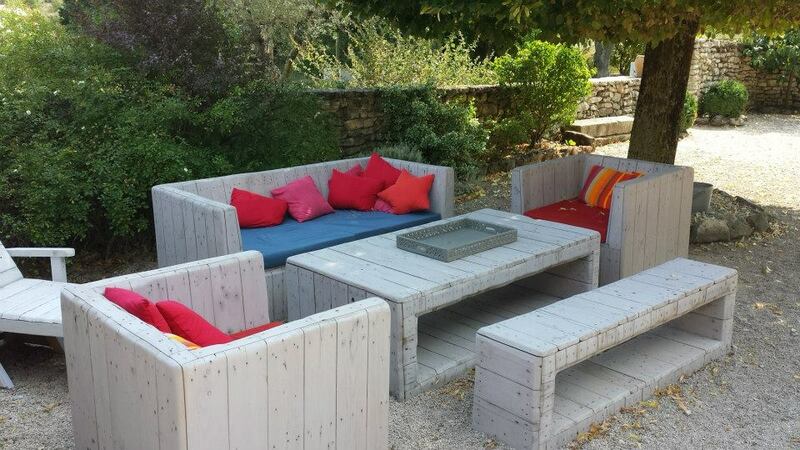 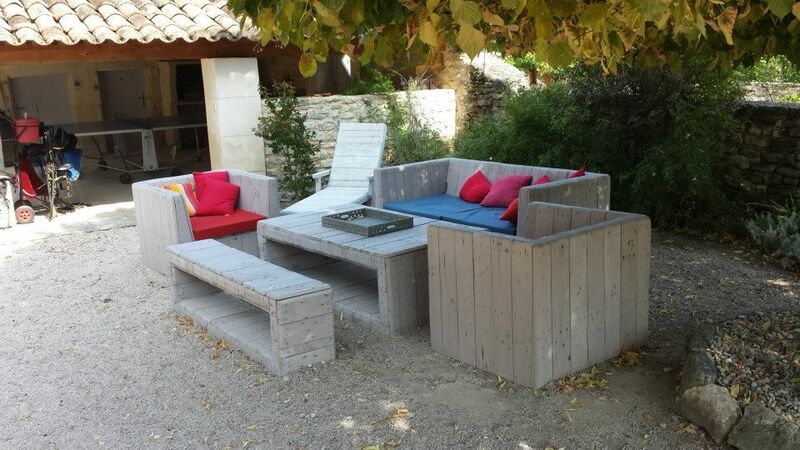 Here is very beautiful unique pallets made outdoor sofa and table along with extra sitting option for your garden or backyard. 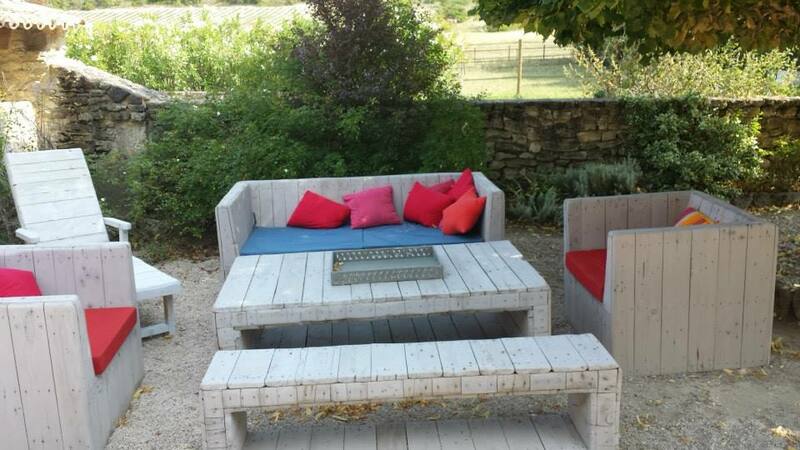 This is very rare pallets creation and the colorful cushions really flashes the beauty of this patio sofa.